Actress Annette Bening speaks at the San Diego Promise fundraiser gala. Before she began her career with the Colorado Shakespeare Festival company in 1980, before she earned four Oscar nominations for films including "American Beauty" and "The Kids Are All Right," before she married actor and director Warren Beatty, Annette Bening studied dramatic arts at San Diego Mesa College. She hasn’t forgotten her roots. Actress Annette Bening with her former theater instructor Milton “Woody” Woodruff. When the San Diego Community College District began organizing a September 20 gala to benefit the tuition-free San Diego Promise program, Bening readily agreed to headline the event that would raise more than $200,000. She also stepped up to serve as honorary co-chair of the San Diego Promise fundraising campaign along with San Diego Mayor Kevin Faulconer, and she has long been a vocal proponent of a community college education. Bening has a history of helping others. Fundraising efforts over the years include breast cancer research and the mother of four is a longtime supporter of Planned Parenthood. “Annette is just a very caring individual who is generous with her time and her money,” said childhood friend Rene McKee, senior vice president for community and public relations at California Coast Credit Union. McKee said it was clear during their youth that her friend was destined for greatness. Born in Kansas, Bening – the youngest of four siblings – moved to San Diego with her family when she was in grade school and attended Green Elementary, Pershing Middle, and Patrick Henry High School. Her parents, who recently celebrated their 68th wedding anniversary, still live in the same Del Cerro house that Bening grew up in, and Bening often sleeps in her childhood bedroom when visiting San Diego. Bening, 60, said the first time she saw a play was when a Pershing Middle School teacher, Ellen McLaughlin, took a class to a Shakespeare production at the Old Globe. After graduating from Patrick Henry High School, Bening, who became a certified SCUBA diver as a teen, worked as a cook on a dive boat before enrolling at Mesa College. “I walked into Mesa not really knowing what to expect,” she said. Among her classes was Math for People Who Hate Math (“I realize now how much I learned from that teacher that had nothing to do with algebra”),Creative Writing (“Here’s a test for diagramming sentences; I got an ‘F’”), and American Government (“We read 'Animal Farm,' 'Lord of the Flies,' '1984' ”). She resolved to work as an actress after stumbling into the Mesa College theatre program. 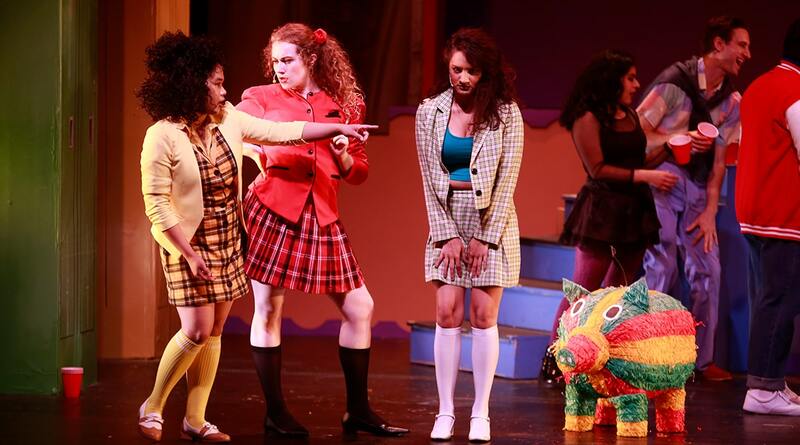 The Mesa theater program staged two shows each semester, and students were required to learn all aspects of a production, from operating the lights and building the props to auditioning for a leading or supporting role. Theater had become her passion. “She found herself at Mesa College,” Woodruff said. It was while she was at Mesa that Bening landed a gig as a dancer in a pre-show presented outside of the Old Globe in Balboa Park, a part that led to a walk-on in a Shakespearean production and two plays with the San Diego Repertory Theatre. After two years at Mesa College, Bening transferred to San Francisco State University, where she earned her bachelor’s degree, and was accepted by the American Conservatory Theater in San Francisco. Her career took her to summer Shakespeare festivals and regional productions before she moved to New York and earned a Tony Award nomination for most outstanding debut performance in "Coastal Disturbances." Bening made her film debut in 1988 in "The Great Outdoors," a comedy starring Dan Aykroyd and John Candy. Director Stephen Frears cast Bening in the critically acclaimed role of a young hustler in "The Grifters," a 1990 film that earned her the first of four Oscar nominations. She secured her first Golden Globe nomination for Best Actress in "Bugsy" and fell in love with her co-star, Beatty, whom she would marry in 1992. She remains as busy as ever with her roles in the recently released "The Seagull" and "Life Itself," and upcoming films including "Georgetown" and "Captain Marvel." Bening returns to Broadway this season for the first time in 30 years in a revival of Arthur Miller’s "All My Sons." Although she now lives in Los Angeles, San Diego remains her home. Bening has stayed connected to Mesa over the years, including serving as the college’s commencement speaker in 2002. When she was honored with the Gregory Peck Award for Excellence in Cinema at the San Diego International Film Festival in 2016, Bening invited several childhood friends to the party. When a cadre of volunteers at Patrick Henry High School were trying to raise money for a state-of-the-art performing arts center to replace a 1960s-style “cafetorium,” Bening kick started the campaign with a gift of $40,000 to fund equipment the San Diego Unified School District could not afford. Annette Bening in a play as a student at Mesa College.